It is with sadness we announce that Jim Enns passed away on Thursday, April 19, 2018 at the age of 71 years. He is survived by his sister Peggy Krol and nephew Jake Krol (Alyssa Butters). A native Calgarian Jim, after completing his degree in computer science, joined the Calgary Police Service. During these years he travelled the globe following in the footsteps of his parents Jack and Betty Enns. 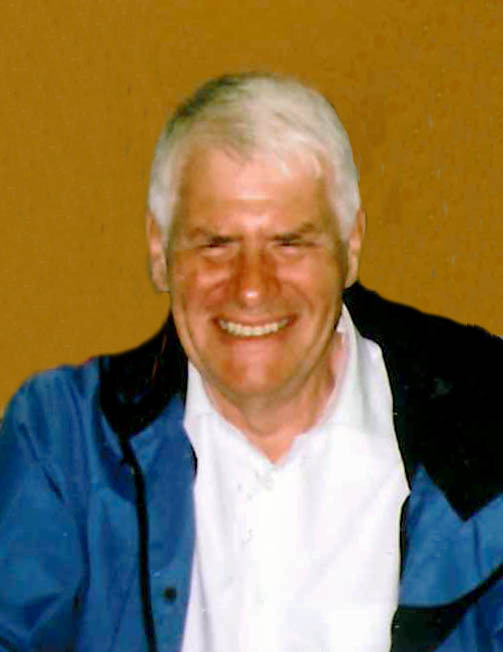 Jim was very involved in the Calgary Scouting Community and never lost his love of the great outdoors. He spent many years camping throughout North America. We will miss Jim’s huge grin which he gave away so freely. The family would like to thank the staff of Bethany Cochrane for their wonderful care of Jim. At Jim’s request no service will be held. Messages of condolence may be forwarded to the family at www.cochranecountryfuneralhome.com. ph: 403-932-1039. I am so sorry to hear that Jim is no longer with us. We were away for 6 mo.& just ret’d April 24th; so I wasn’t aware that his health had deteriorated so much. We were Elders together @ Westminster & remained good friends. He gave so much towards the development of our church family. He loved working with the kids @ Vacation Bible School. I helped him with his move to Parkview. He gave me his little dwarf Mugol Pine shrub from his trailer site as it was all going to be bulldozed & we had just bought our little house here in Vulcan. It is a lovely remembrance of Jim for me. As an old nurse; I knew his health was tenuous. It is a blessing; he is now in a better place. But..he will be missed. He was just 3 mo. older than me. My deepest sympathies on your loss. My condolences on the passing of Jim. I had the pleasure of working with Jim back in the ‘80s in The Crime Analysis Unit. I have a fond memory of putting up a ‘Charlie Brown’ tree one Christmas in the unit. Among others was discussing if you really needed a turbo in a Buick! He was a good cop and a stand up kind of guy. He will be missed. Our condolences to Jim’s family and friends on his passing. Jim belonged to Westminster where he and I performed audio duties for the service together for many years. His failing health over the past several years kept him away more and more from Westminster but he still got out to services when he could and still had that big smile with him when he did. He will be missed and we will always remember him fondly. Our sincere condolences to Jim’s family and friends.